From 1850, the history of Qatar is characterized by the slow but gradual rise to power of Mohammed bin Thani and his descendants, the Thani family. Mohammed was a relatively affluent pearl and date trader, who in addition to his worldly businesses acted as prayer leader in the larger mosque of Doha. He was also ‘collector-in-chief’ of the annual tribute which the local tribes were expected to pay the ruler of Bahrain. Mohammed must have maintained friendly relations with the Khalifas, as he married off his daughter to their representative in Doha. In the 1860s, however, discontent with the Bahraini dominance grew among the Qatari population. No longer feeling safe in far-away Doha, Al Khalifa governor Ahmad bin Muhammad fled to Khor (Khawr) Hassan in 1867. 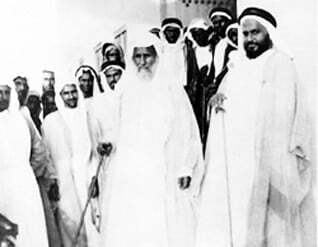 This prompted the Bahraini ruler Mohammed bin Khalifa to seek the assistance of the Sheikh of Abu Dhabi. 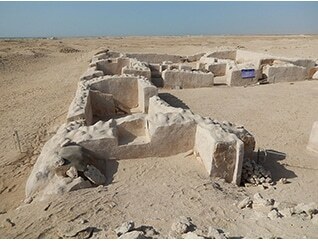 In the autumn of 1867, their combined fleet attacked Doha and nearby al-Wakra, destroying and looting the two towns. In response the tribes of Qatar rallied and sailed for Bahrain, seeking retaliation. The Pax Britannica was in shambles, urging the British to change their policy towards the Qatari tribes. They concluded that from now on it would be more practical to deal with the tribes of the peninsula directly, instead of through the weakened authority of Al Khalifa sheikhs in Bahrain. The British started looking for a Qatari sheikh with whom they could do business. In British eyes, Mohammed bin Thani was the most suitable representative of the tribes of Qatar. In 1868, Mohammed bin Thani signed an agreement with the British. The Qataris would continue to pay tribute to the Khalifa, but in future any disagreement would be brought before the British Political Resident in Bushehr. This meant the de facto termination of Al Khalifa sovereignty over Qatar. At the same time, the British cemented the elevated position of Mohammed bin Thani by declaring that it expected that all the sheikhs and tribes of Qatar would not ‘molest him or his tribesmen’. Thus when Ottoman forces, after a very long absence, reconquered mainland al-Ahsa in 1871, it was the Thani family who received their emissaries to Qatar. Although Mohammed refused to fly the Ottoman flag, his son Jassim was willing to accept the new political reality. He was appointed kaymakam (Ottoman administrator) the following year. By playing off the Ottomans against the British, Jassim extended his own political manoeuvring space. At the same time, his Ottoman title served to strengthen his authority among the local tribes. In 1878, he tried to remove the remnants of Bahraini influence in Qatar by razing al-Zubara to the ground. In the 1880s, he forced Qatar’s relatively wealthy Indian traders to leave the peninsula, which strengthened his own commercial and political position. In 1893, Jassim even took on the Ottomans, defeating them in a locally famous battle east of Doha. From that defining moment on, Ottoman power in Qatar would remain restricted to their fort in Doha.